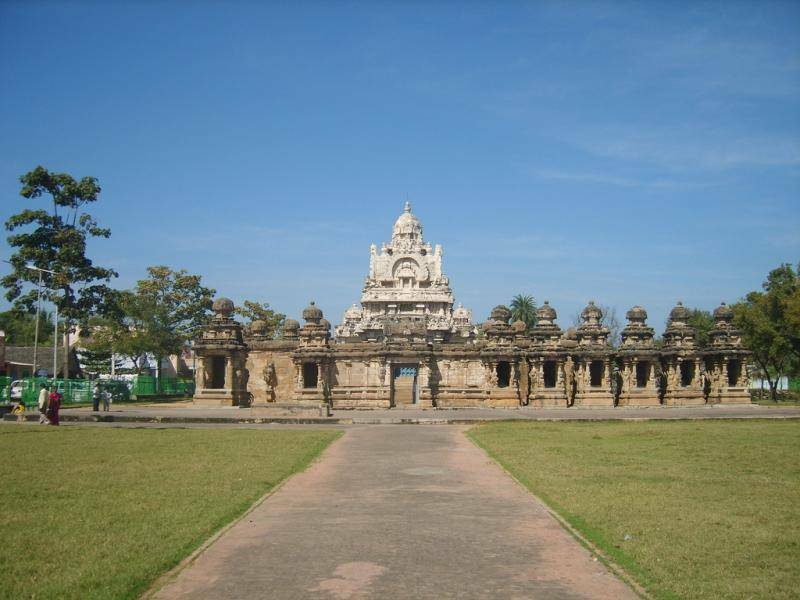 The history of Kailasanathar Temple dates back to 5th century. RajaSimha Pallava started the construction and was completed by his son Mahendra Varma Pallava. Because of its unique architecture style Archaeological Survey Of India has declared this temple as a vital archaeological Monument. Also tourist can see the entire structure was built using the limestone. The fresco styled paintings and sculptures on the walls and dome are inspiring. Locals say that Kings stayed within the temple complex during the war. The ruins of escape tunnel are a standing example for the above said fact. Huge statue of Nandheeswar (Bull, the vehicle of Lord Shiva) calmly welcomes the visitors. During Maha Shivrathiri, people around the city visit the temple and offers the prayer. The dancing posture of Lord Shiva and his consort Goddess Parvati which is sculpted on huge rock panel is a feast to our eyes.